As usual, nothing is yet for sale. I have to get ready for Zanesville. Just for the heck of it, I pulled out three of my 20" plates and put them on the studio wall. Nice? 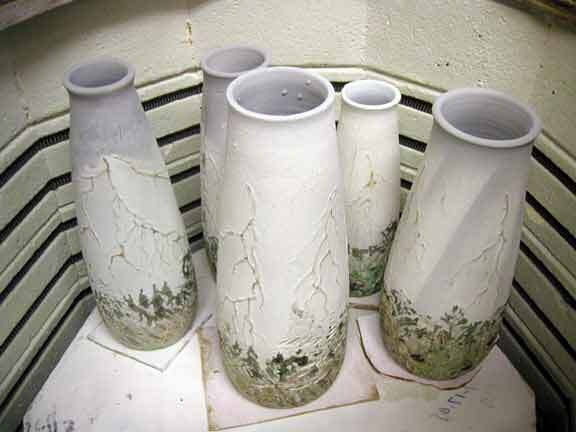 Let me show you pictures of 10 pots that I have been glazing for the last month. 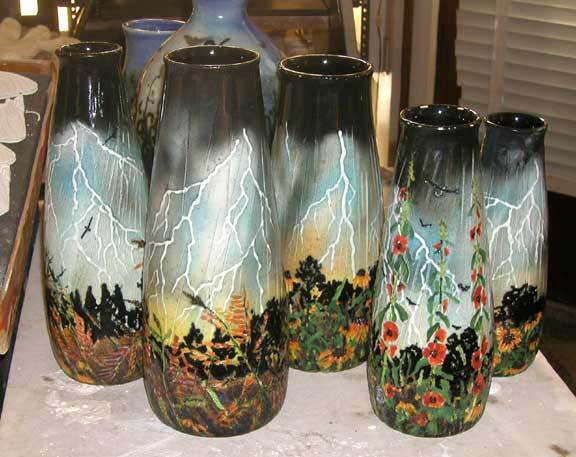 I glazed up five hollyhocks with snow and five rain with lightening pots. 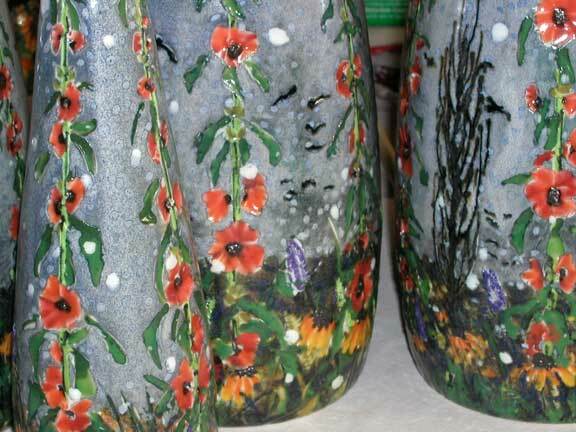 Here are the hollyhocks about a third glazed. And the same with the rain pots. 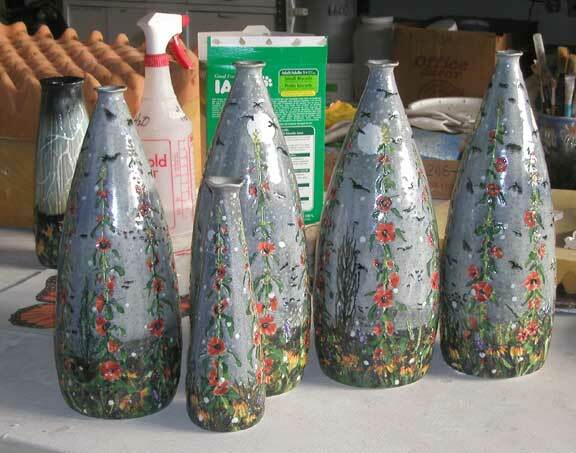 This is what the glazing looks like when I am spraying the backgrounds on the pots. They turned out well. 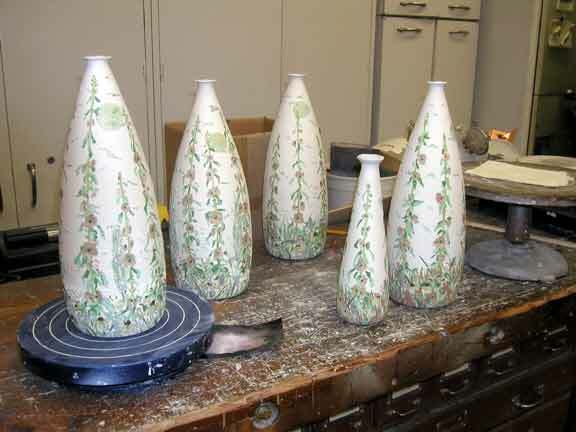 Four- maybe five- of the ten are going to be reglazed and refired. 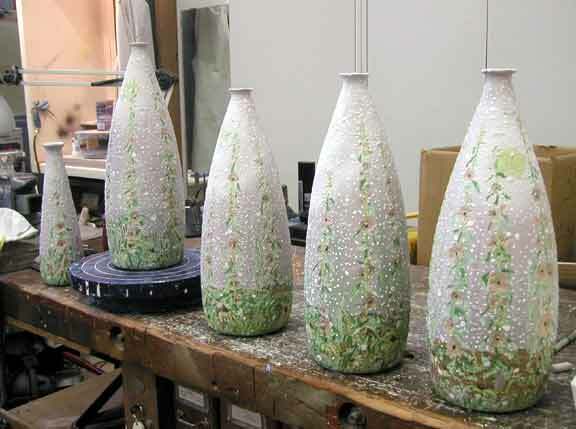 The rain pots are a bit weak and they always need a secord or third glazing effort. These need a bit more color and color balance. 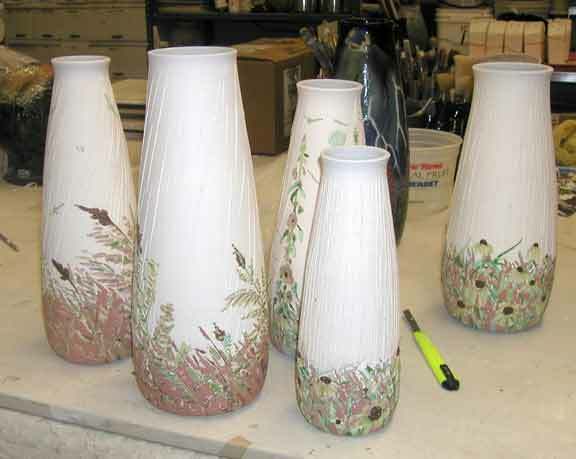 Some of these pots will be coming to Ohio. 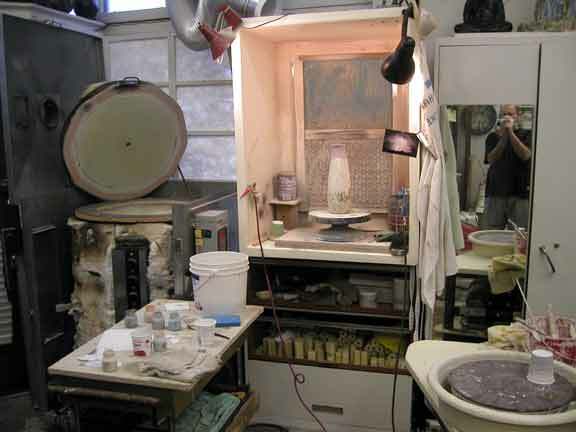 This week I am going to start throwing pots for a month or so. I still have lots of things to glaze, but I feel the need to make some new things. I have not thrown pots for a year.